Bashful Monkey is enough to put a smile on anyones face. 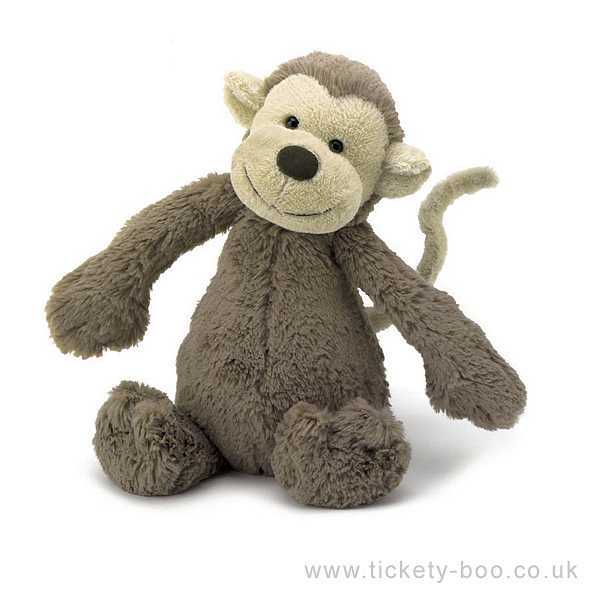 With the original and quirky Jellycat design Bashful Monkey sits at approximately 31cm and his weighted body makes him sit perfectly. Bashful Monkey has been fully house trained and is suitable from birth.